Having a child that was born prematurely puts her at a higher risk of catching ALL. THE. THINGS. during cold and flu season. Heck, for most of her life, I've felt like she catches every illness when it goes around. When she entered school, it became a regular occurrence for me to be at the doctor's office every month. For a while there, we thought she might even be a carrier of strep because of all the times she tested positive for the bacteria. This past flu season had me especially worried though. We had vacation plans this year to go to Florida and on a cruise for Squish's birthday, and everyone was getting sick around us. The schools went into high gear telling parents to keep kids at home and what to look for to make sure that a fever wasn't the only reason to keep the kids at home. They even had a proper hand washing session with the little ones. It was the biggest effort I've seen in years to keep the kids from spreading this year's nasty flu. While we missed out on some things, we focused on staying healthy at home. 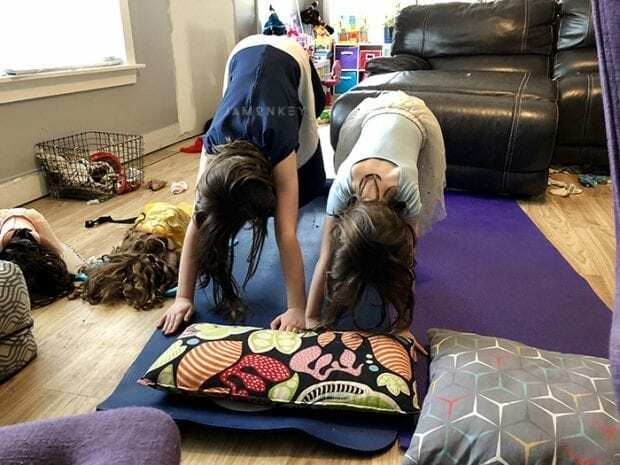 The girls even joined me for some yoga (they even got their dolls into yoga)! I thought for sure we were going to catch some illness and it would hinder the massive amount of school work I needed to complete before we left, or worse, we would be sick on the trip. I became the germaphobe mom during the entire month of February. We took preventative steps to make sure the kids stayed healthy so that we could have an epic trip over our school break. Gwinnett Medical Center's Everyday Wellness has a lot of great resources for parents who have questions about children's health. Not just for illness either. They have sections for development milestones, diet & nutrition, everyday parenting tips. It is a fantastic resource for parents. We hit a major milestone for Squish last month as well. 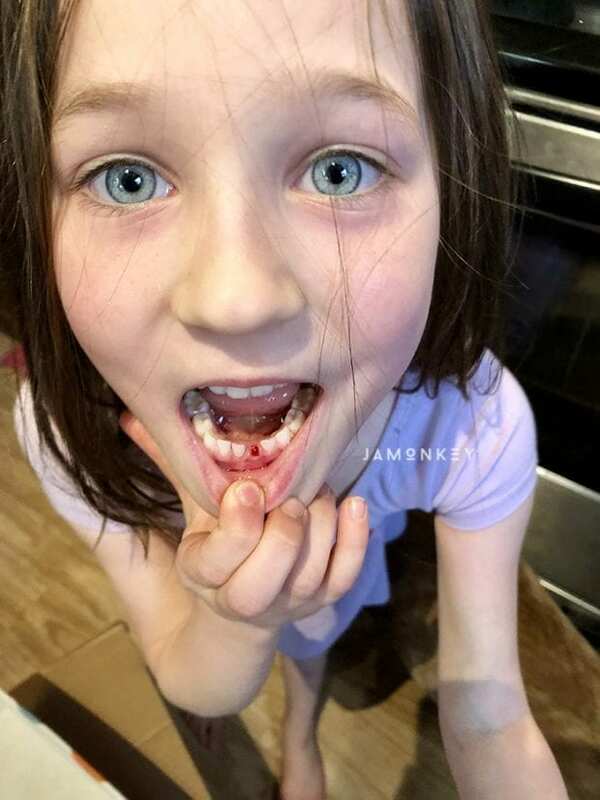 She lost her first tooth, and then her second a few days later. 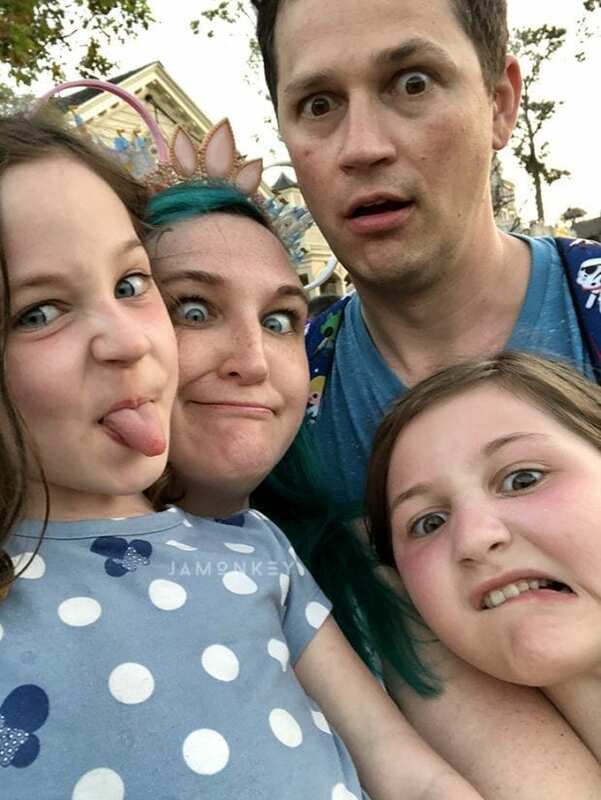 We successfully had an amazing vacation together and managed to stay healthy after the trip as well despite being at a theme park and a cruise ship. It makes for more time for moments of silliness like this one. Mom 1 : Cold & Flu season 0! Check out Gwinnett Medical Center's Everyday Wellness for great resources for children's health and more. OMG the doll yoga. SO FUNNY and so sweet! !